The overshoe of 2015 World TT Champion Vasil Kiryienka designed by Bioracer for when every second counts and the margins of victory are slim. The Speedwear Concept TT overshoe is made of specially coated fabric designed to be ultra smooth for maximum aerodynamic gains. Closure is a single velcro tab under the shoe to prevent the need for a zip. This adds to the minimalistic construction. 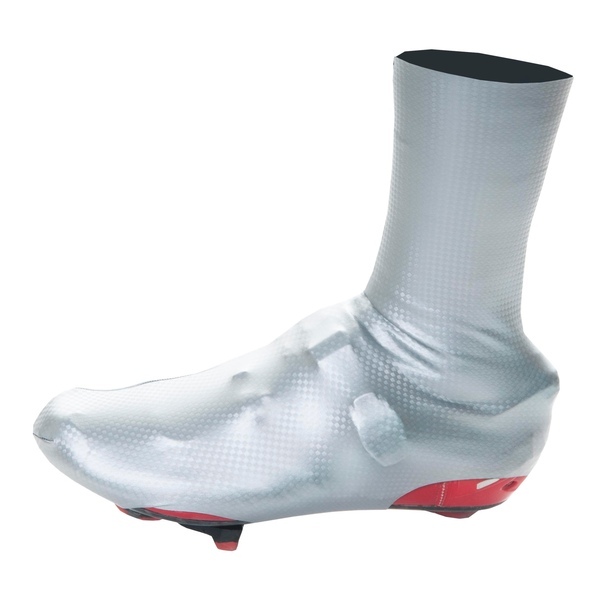 Simply the best TT specific overshoe money can buy. Easyfit. First the overshoe, then the shoe.